Win a pile of books!! Quick, before 7 p.m. GMT on February 6th …! I am DEAD excited to be able to tell you about the awesome new site MIDDLE GRADE STRIKES BACK, which is all about finding and promoting the best new books for 8-13s in the UK, hurrah!! To celebrate their launch, they’re giving away a pile of books to one lucky winner – so don’t miss out! Go to THIS PAGE and enter your details to be in with a chance of winning! Hey, Future, where’s my jetpack? According to the visions of the future when I was a kid, by now I’d be travelling in my own private bubble hover-car, or using the jetpack for local journeys. Meals would consist of quick and handy pills, while a robot did the housework. 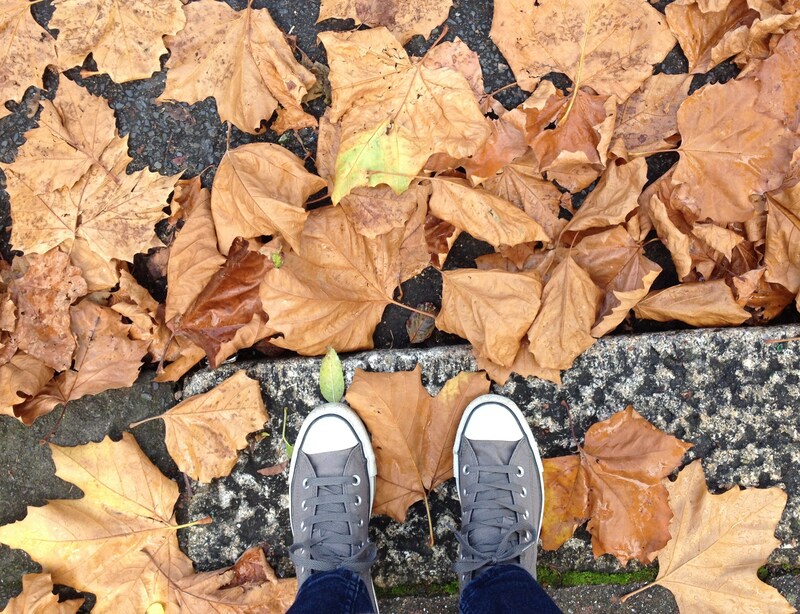 The other day – a rainy November Sunday – we decided to go and see a film. We walked there on our own legs (evolved circa 6 million years ago) and carried an umbrella (originally patented in 1786). 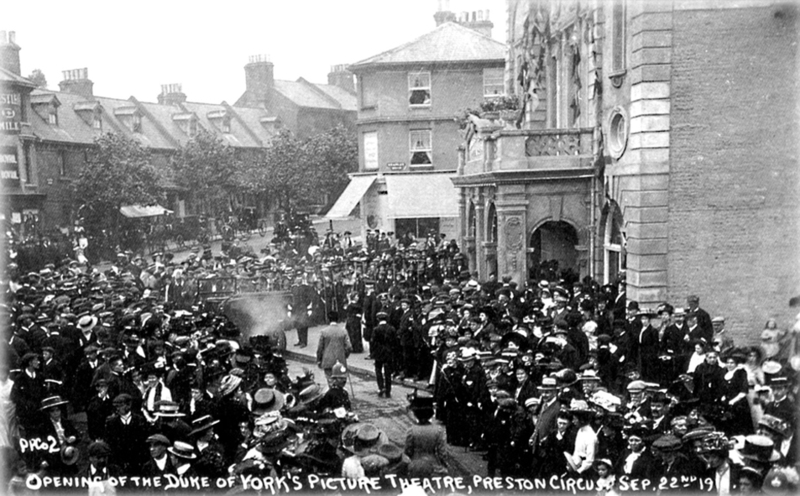 Our destination, The Duke of York’s, claims to be England’s first purpose-built cinema (1910). So far, so totally not like the Jetsons. But the bit which really wasn’t envisaged way back when… we booked our tickets earlier that day using a thing like a book with its spine bent back, connecting to an invisible thingy that spanned the globe. We pressed our fingers to its screen. And when we got to the cinema we showed another screen, much tinier, with a symbol that proved we had already booked and paid, though no physical money changed hands. The man on the door, sporting a beard that any Victorian paterfamilias would have envied, checked our screen with another neat gadget that read it and let us through. We watched a film about Alan Turing, one of the early developers of the computer. It was still raining when we got home. Unfortunately, no robot had cleaned the house for us, but, fortunately, we had real food for our evening meal. Opening of The Duke of York’s Cinema, Brighton, 1910.
bright green, or the colour of lemon peel, or at most a light golden brown, like roast potatoes. And all the size of plates – tea plates, dessert plates, even dinner plates. 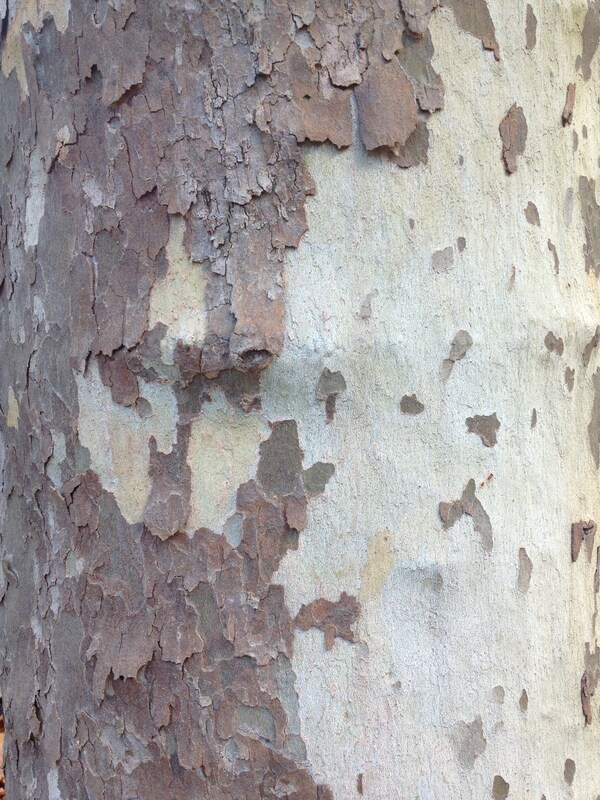 His eye, as he walked down Kilmartin Road, scanned to find the biggest – and yet bigger – leaves upon the pavement and in the gutter between the parked cars. He longed to pick up the biggest he could find and take it home. That would be an autumn leaf. Why am I writing about this, and what am I quoting? The fall of the plane leaves always reminds me of my first experience of publication, and prize-winning (writing as Julia Widdows). It was a turning point on my path as a writer and such an exciting one. In addition my story was one of only five from that award to be broadcast on BBC Radio 4 in their afternoon readings slot. It was beautifully edited and read and the first I knew about it was 2 days before the broadcast – the easiest piece of writing-for-radio I have ever experienced! This story is also one of the few pieces of writing where I was fully aware of the inspiration at the start. 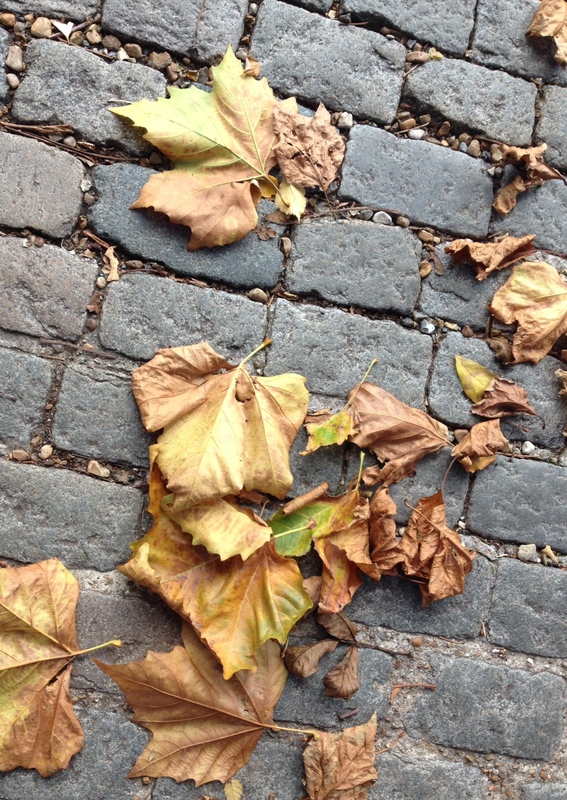 I used to walk to work past a row of huge London Plane trees and every year in late October the pavement beneath them was awash with their leaves. They were so tempting – sometimes I’d risk embarrassment and pick up one or two of the best colours or the biggest leaves. I wondered about the sort of person who wanted to do the same but couldn’t quite bring themselves to. And so a character evolved. It’s also that time of year – clocks have just gone back, evenings are dark but not yet too cold – when house windows are lit up, and curtains open, with little glowing scenes inside, like numerous passing free theatres. My character became a watcher; not a sinister one, just slightly sad and self-deluding. The story itself evolved. Then the title: I came across it in Alan Bennett’s Writing Home – ‘ami de maison’, meaning friend of the household, more or less. It was a new phrase to me and it captured the delusion perfectly. All three elements combined into a story I’m still fond of, even if maybe I wouldn’t write it in exactly the same way now. So every autumn after the clocks go back I’m reminded of this particular story and this stage in my life. No other piece of writing I’ve done is so tightly linked to time and place. *Did not lead to instant further publication, success, riches, fame etc! Would-be writers often think that once you’ve got your foot through the door somehow that door is wide open: rapid and predictable next steps in a writing career are inevitable or at least easier. (I did.) No, you’ve just got your foot in the door and your poor toes may well get squashed. Travelling without moving: a child’s world-view. The children of Dynmouth were as children anywhere. They led double lives; more regularly than their elders they travelled without moving from a room. They saw a different world: the sun looked different to them, and so did Dynmouth’s trees and grass and sand. Dogs loomed at a different level, eye to eye. Cats arched their tiger’s backs, and the birds behind bars in Moult’s Hardware and Pet Supplies gazed beadily down, appearing to speak messages. I can remember when I was too small to see over table-tops (except on tiptoe) and when drawer handles were at face level (I heaved myself up by them to see what was on the mysterious surface above). I can remember the enormous trees along the road home from the bus stop (and how far that bus stop seemed from home. My legs ached and my feet made little progress.) They towered and flamed like trees from a dream. I can remember having to stand on a chair to play with washing-up bubbles in the kitchen sink. It was a cut-down version of the wooden high chair that had been passed down through various children. I can remember being afraid of the noise the bathwater made as the last of it screeched down the plughole. I can remember the self-imposed superstition of having to get to the bottom of the stairs before the toilet (upstairs) finished flushing. I think it’s important to be able to remember such things. Especially if you are writing for children. P.S. Those trees on the route to the bus stop are still there. It’s a small suburban road and they are small suburban trees, even after decades of growth. They live side-by-side in my mind with the vast ones. Writers are fuelled by coffee2 – sometimes tea – and snacks. If your thoughts run like this: ‘I’ll write 100/200/500 more words/I’ll finish writing this chapter/I’ll finish re-reading/editing/staring hopelessly at this chapter, and then I’ll make a cup of (beverage of choice)…’ then the bit where, while the kettle boils, you forage through the cupboards for something to eat is vitally important. It decides What Happens Next, in every sense. In this scenario I’m discounting discoveries of nuts, crisps, dried fruits, or a fridge-based forage which might end up with hummus or yoghurt, or, God help us, salad in its many forms. Salad does not get a novel written. I’m British. I’m talking about Biscuits. Early results pointed to the Hobnob as an ideal biscuit-of-choice for the writing life. Sweet, salt, and two of ‘em’ll keep you going for ages. Dip-able: this is a very important quality. Biscuits that dip and then disintegrate into your tea or coffee as you lift them out are a disaster. Especially if you’re busy looking at your computer screen while doing so. Outcome: bits in the beverage and nothing to nibble on but a soggy edge. The success of the Hobnob led to experiments with the Chocolate Hobnob. Initially it looked like a winner. But you can have too much of a good thing, leading to crash-and-burn (not saying how many were got through in a sitting). Consistent results show that intake of the Chocolate Hobnob definitely leads to a drop in productivity. A family member who shall remain nameless, though with the best scientific interests at heart, thought that if Chocky Hobnobs were good then Chocolate Chip Hobnobs must be even better. But there are some things that are not meant to be.3 Choc Chip Hobnobs are an aberration. The packet was not even finished. By me, anyway. So now I would like to announce a very strange interim result. 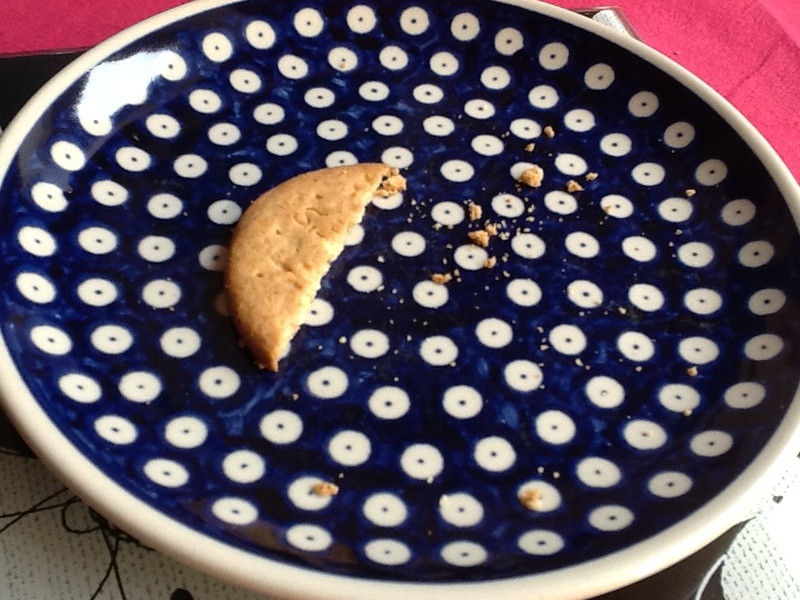 The plain Digestive biscuit is making an unexpected bid for supremacy. Bought simply for smashing up and making into a tray of Rocky Road, it was accidentally foraged one morning with interesting results. Who would have thought that such an old-school biscuit would stand a chance? Yet it has the necessary characteristics. Not too many crumbs, capable of being dipped without disaster (though timing is all), and – surprisingly – equally flavoursome with/in both tea and coffee. And being such a no-frills sort of biscuit, it gives the illusion that you’re snacking on nothing more sinister than a ricecake.4 So you can probably get away with another. (Two or three). This important work continues. Research assistants are required. Unpaid. Any volunteers? 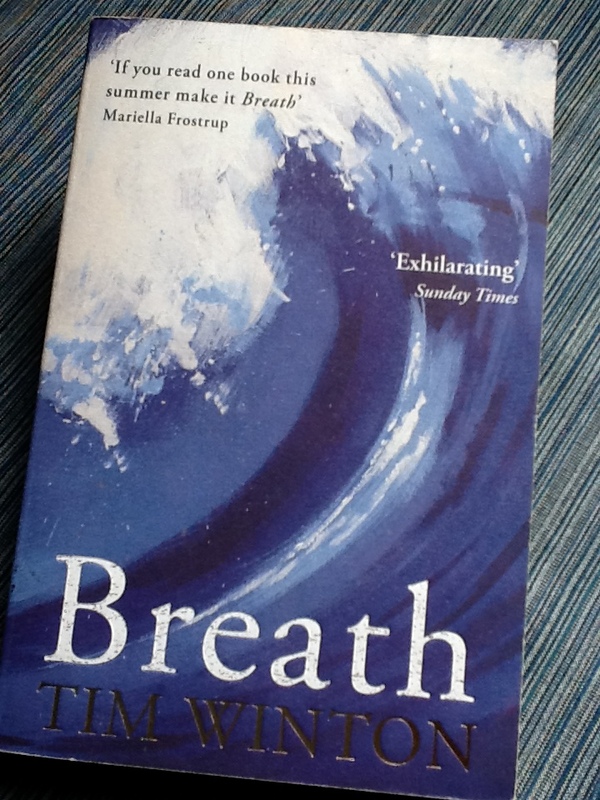 2 See my blogpost ‘Coffee – Essential Writing Fuel’ on Girls Heart Books. 3 Other examples of things that should never have been invented: there’s an advertisement around at the moment for something that combines chocolate and Ritz Crackers. No. And another that implies you can put strawberries on Ryvita. That is impossible. Those two substances are like resisting poles in magnets: the strawberries simply veer away. 4 Actually, ricecakes are pretty sinister. 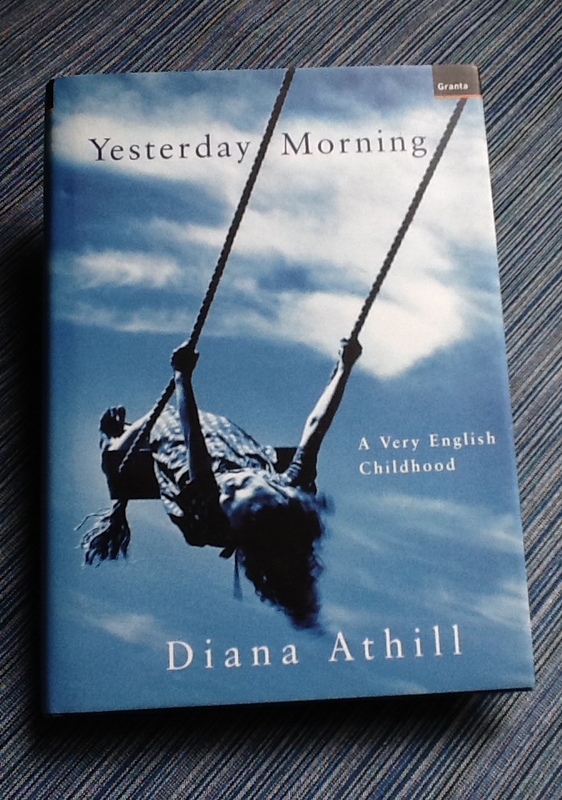 There’s an interesting Twitter hashtag on the go at the moment – #bookadayuk – an idea from new imprint The Borough Press. It has a different theme each day to get everyone talking and tweeting about books. My favourite so far was the Blue Book Cover day. In honour of it I’m even writing in blue today! Blue is clearly a popular colour for covers – there are lots of them out there, and lots on my own bookshelves, I discovered. Here are a few that are so beautiful I’ll include them here even though they are books for adults. If the book title or contents feature something about air or water, sky, sea, or heaven, then blue is an obvious choice and can result in some truly stunning images. 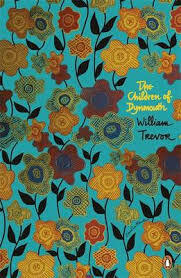 It might be part of a rich tapestry of colour and evoke the palette of other eras. Blue can be shorthand for misty nostalgia, or sad introspection – or even dark dangers. But it’s often the colour of joy. I love libraries. I ought to have the tee-shirt. If there is one. I hope there is. 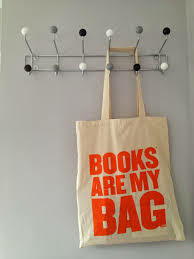 Like the Books Are My Bag bags of last autumn’s brilliant campaign, we are sorely in need of an I ♥ Libraries tee-shirt. My local library has a very inviting area for teenage readers. I’ve only recently discovered this, because I wanted to catch up on my YA reading. There was no such category as YA when I was the right age for it – I wish there had been. It might have been on its way in when my kids were at that stage but if so, it didn’t register with any of us. 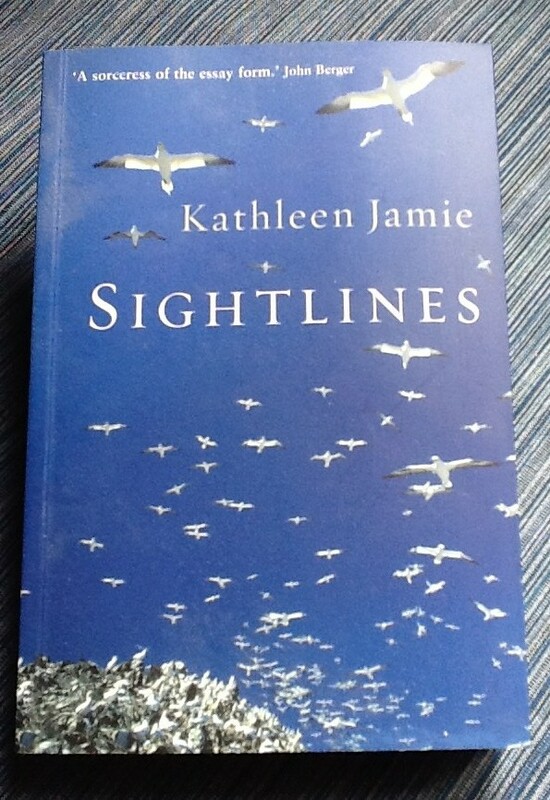 My sons were such committed non-readers in their early teens, and I was such a non-hothouse-mother that instead of kicking hopelessly at a solid brick wall I just let them get on with other things and sank back into the pleasure of my own reading choices, serious fiction for fully paid-up adults. No farts or vampires. The YA reading area in my library is a separate space, sectioned off but not cut off from the main library – and not leading out of the children’s area – which probably feels quite grown up. 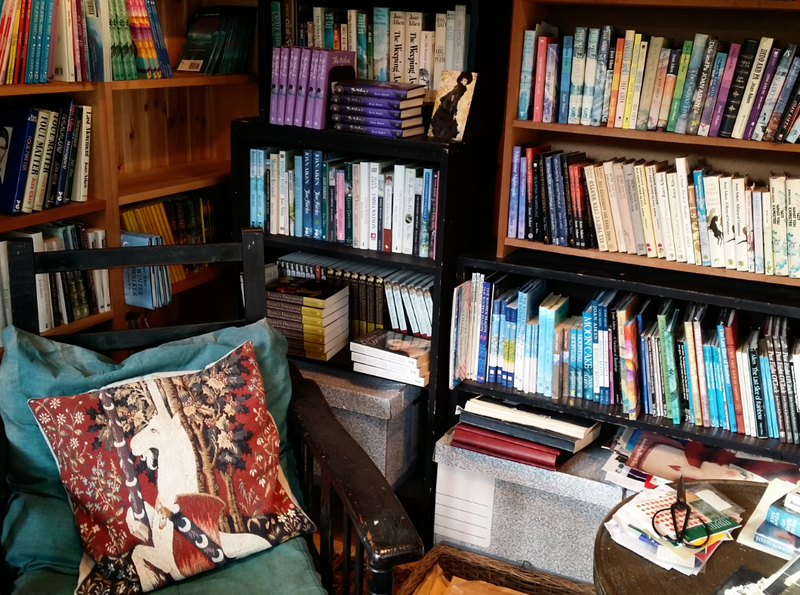 There are shelves of exciting-looking books, posters on the walls, and a corner with squashy sofas where there are always a few people sitting, sometimes talking, sometimes reading. Ok, it might be a school day and in school hours, but maybe they’re doing a project, and if not, well, there are far worse places to hang out than a library. It’s brilliant to see a teenager with their nose in a book. 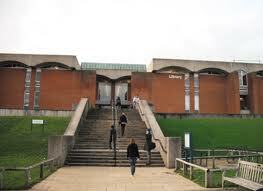 When I was a reader at that stage (I don’t suppose there is a fixed age for it) I’d read everything I wanted to read in what was then called the Junior Library but had no idea where to begin in the Senior Library. 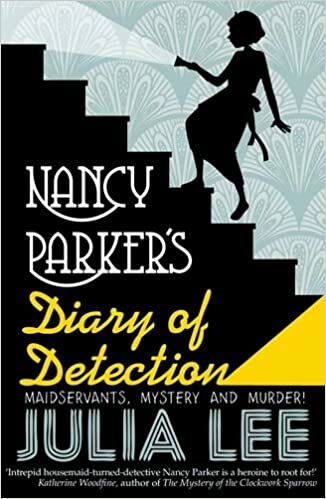 My mother recommended a few minor classics which I steadfastly tried, but I’ve never been much good at reading those – all those flimsy pages, all those tiny words! – and quickly but quietly gave up on. I never asked a librarian. They were only there to date-stamp your books. So, completely without guidance, I just pulled books off the adult shelves and sometimes, if they had a really racy cover, I rapidly stuffed them back. Not that I didn’t want to read a (possibly) racy book, I just didn’t want anyone to see me choosing it! Somehow I discovered science fiction (it was a catch-all category then) and got stuck into that – John Wyndham, Ray Bradbury, Arthur C Clarke, Ira Levin: yes, they were all chaps. Probably I found the names of other books and other authors in the same stable on the dust jackets and took it from there. At home we had a handful of macho adventures by Alistair MacLean and Hammond Innes so I read those and more of the same. It was interesting, but also a bit of a cul-de-sac. There was so many other kinds of writing out there I would have loved, if I’d only known about them. I’m only just embarking on my catch-up of recent – and not so recent – books that are now categorised as YA. The themes and content are pretty challenging, but they have young adults, male and female, as protagonists, working through all sorts of adolescent stuff, as well as dystopian nightmares and life-or-death dramas. Not just old blokes doing blokey stuff. How I wish there had been a dedicated space for me as a reader emerging from the Junior Library cocoon, and a wide selection of books that just might, or might not, fit the bill. And how I wish there had been squashy sofas, too.